Artists & Projects - Aid A. Aid A supports the Chinese dissident Wei Jingsheng. Aid A also has funds to support individual artists and groups who are entitled to benefit from AID A support in keeping with the association rules. Don’t hesitate to contact us if you know someone who needs support, or if you yourself need help. Aid A supports the Syrian writer, novelist and women’s rights activist Rosa Yassin Hassan with a one-year literature scholarship. Rosa Yassin Hassan was born in Damascus, Syria. She studied architecture and worked as an architect for seven years. Since 2007 she has dedicated herself exclusively to writing. Her works include the novels Ebony (2004), which won the Hanna Mina Prize and Guardians of the Air (2009), which won the Prix Litérature Arabe, the short story collection A Sky Tainted with Light (2002). 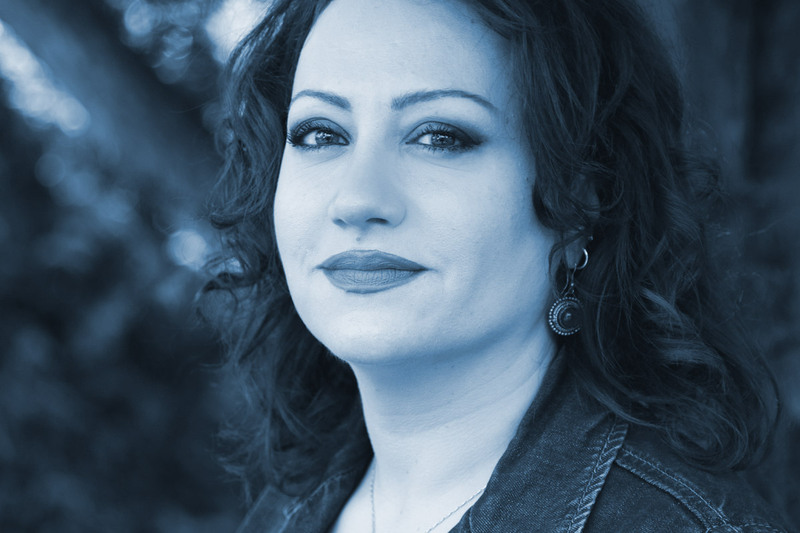 Rosa Yassin Hassan is active as a women’s rights activist in various feminist groups and founded the Syrian Women for Democracy Association in 2006. She has been a member of the German PEN Club since 2015 and a member of the Independent Association of Syrian Writers since 2012. Rosa Yassin Hassan has published numerous articles on cultural and political topics in Arab and international newspapers and magazines. After the Syrian Revolution and the civil war in her home country, she came to Germany with her son at the end of 2012. She has received various scholarships and currently lives in Hamburg, where she teaches Arabic novel reading at the University of Hamburg. With the one-year literature scholarship Aid A supports the Syrian author in the creation of her latest book with the working title Wollknäuel. Aid A supports the Syrian artist and graphic designer Sherin Mustafa and takes over the costs for a preparatory course (TDA The Drawing Academy) at the renowned Danish animation school The Animation Workshop in Viborg. 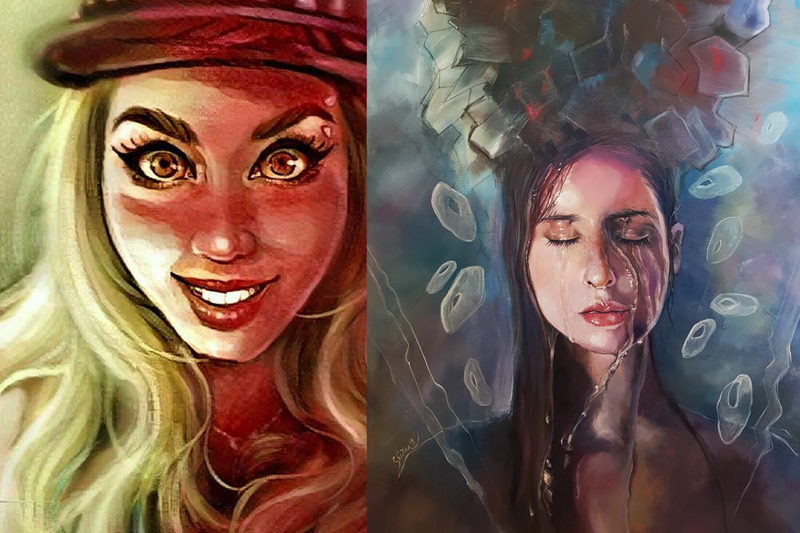 Sherin studied graphic design at Aleppo University and has worked as an illustrator, graphic designer and animator in Syria, Lebanon, Canada and Denmark for publishers, magazines and radio stations. Her work has been exhibited in Syria, Denmark and Sweden. Aid A – Aid for Artists in Exile has invited the Zimbabwean stage author, performance artist and activist Silvanos Mudzvova with his latest play King of Mutapa to Hamburg. In King of Mutapa Silvanos Mudzvova slips into the role of various rulers on stage. The satirical one-person play tells about African dictatorships and kings who ruled pre-colonial Africa with an iron fist until their death. Mudzvova, who wrote the play in 2017 as a scholarship holder at the University of Manchester, makes it clear above all how today‘s African rulers are still guided by the methods of the 18th century. With King of Mutapa, Silvanos Mudzvova continues his critical theatre work in exile. 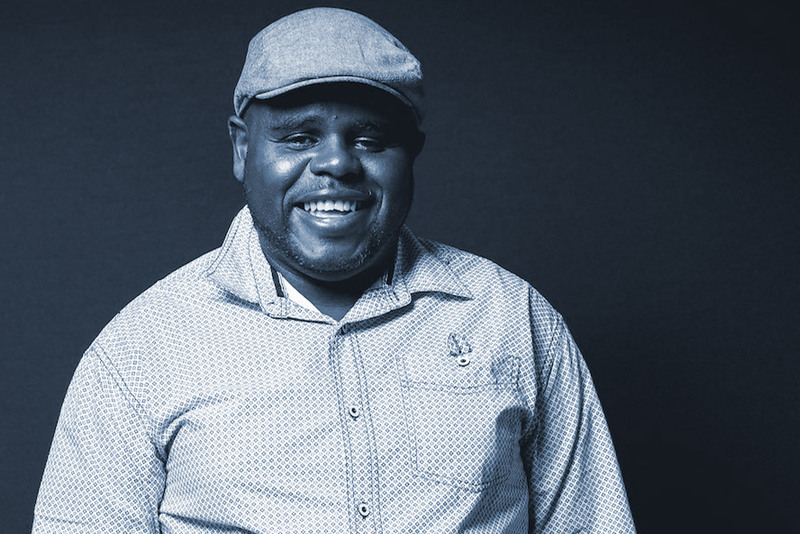 Previously, the activist had tirelessly and fearlessly protested in Zimbabwe against the repressive regime of former President Robert Mugabe with his plays and actions in public space and campaigned for more democracy and LGBT rights in his country. Mudzvova was repeatedly arrested, kidnapped and tortured for his artistic guerrilla actions, most recently in September 2016. Since then he has been paralyzed on the left. Mudzvova, who lives and works in Manchester, founded the online TV channel BhanditiTV in 2017 as an alternative media channel for Zimbabwe. In the same year he was awarded the Václav Havel Prize for Creative Dissent and in 2018 he was nominated for the Freedom of Expression Award. Aid A allows the World Premiere with his latest play King of Mutapa in Hamburg, pays the artistsfee, the theatre rent, travel expenses and accommodation for Silvanos Mudzvova and for the musician Björn Norrgård. 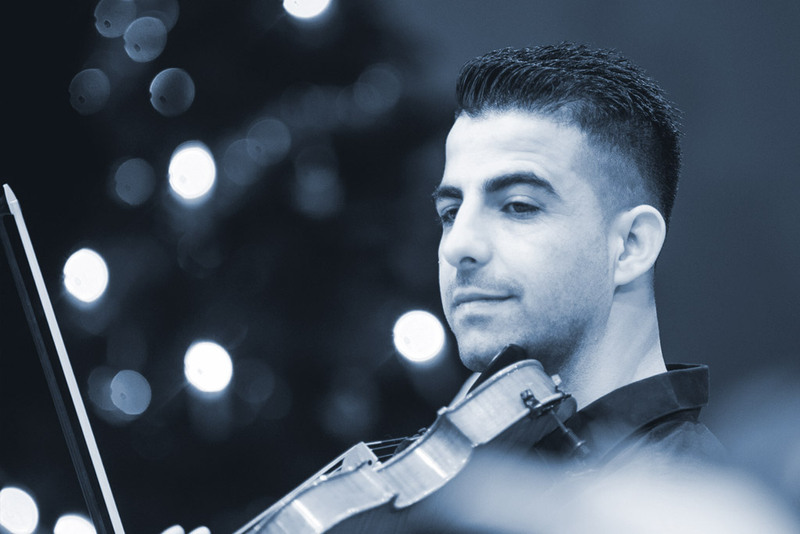 The Syrian violinist Mazen Bou Assi already worked in his home country as a professional musician and music teacher. He currently lives in Berlin and works as a volunteer musician for the Peace Train Berlin, a cultural workshop for refugee children and young people in Berlin and for the Berliner Begegnungschor, for which he co-organises performances. After passing the entrance examination, Mazen Bou Assi is currently studying music pedagogy at the Clara Hoffbauer Potsdam University of Applied Sciences. Aid A supported Mazen Bou Assi in buying a new violin, which he needs for his work and studies. »There is nothing that can silence me…,« said Wei Jingsheng in an interview straight after his release in 1997. The writer and human rights activist was born in 1950 in Beijing and is still one of the most important critics of the regime in China. After being imprisoned for almost 19 years and later deported to the USA, Wei Jingsheng continues his resolute commitment with talks, discussions and actions for the advancement of democracy in his home country. Wei Jingsheng’s parents were members of the communist party, he himself attended elite schools and became a child of the system. After Mao’s death in 1976 a conflict developed between a radical and a liberal wing of the communist party around Den Xiaoping. For the first time a democracy movement developed in Beijing centring on a brick wall. Activists published their ideas on this Democracy Wall in the form of wall newspapers. Among them was Wei Jingsheng who was not satisfied with the extent of the reform programme. So, in response to the ‘four modernizations’ he formulated a fifth in which he demanded more democracy. The party leadership reacted immediately and had Wei arrested together with other activists. In a public show trial, Wei Jingsheng, who was 29 at the time, was sentenced to 15 years in prison. In order to draw the western world’s attention to the writer’s situation, the founder of A.I.D.A., Ariane Mnouchkine, reconstructed the trial and created a theatre piece that was first performed in Paris in 1984. It was this protest with artistic means, as well as the activities of many western diplomats and politicians, that finally led to Wei Jingsheng’s release. 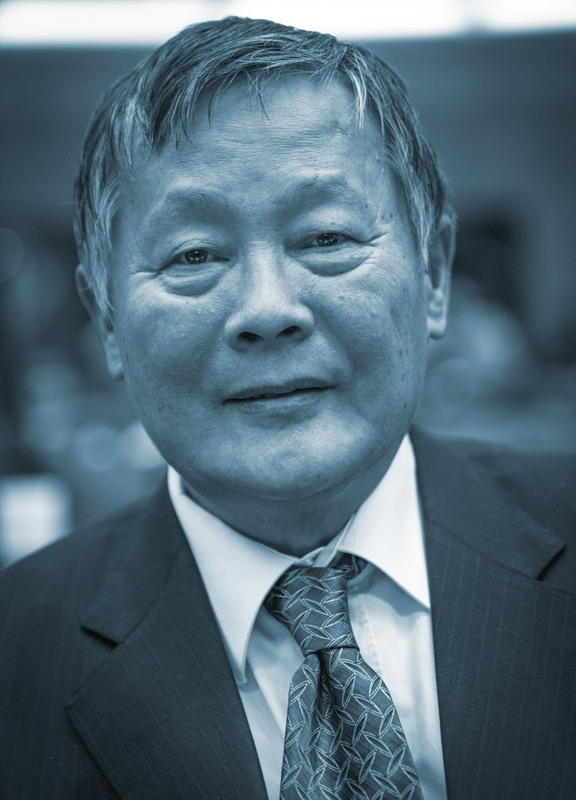 Aid A still supports Wei Jingsheng and his own foundation. The writer was in Hamburg during the G20 summit in 2017 in order to remind people that the current situation in his country is still critical, especially concerning human rights and freedom of expression.